What are wisdom teeth and why do people have them removed? Wisdom teeth are an additional set of molars that grow in during our adolescence. They grow in behind the four molars that you have on the upper and lower sets of your mouth. Often times, they can create issues if they grow in in an unfavorable position. This can cause pain and dental problems that are related to crowding of the teeth. Or they can be impacted which means that they are stuck under the surface of the gum line. Rather than growing in upright- vertically, they are stuck horizontally and thus create movement pushing the rest of the mouth, causing teeth pain. In addition to the toothache and pain it can be a breeding ground for bacteria and plaque. Sometimes even if they do not grow in favorably, they will be a long-term liability. Because they’re so far back in the mouth, cleaning will provide difficult for even the most experienced and diligent tooth brushing advocate. If the wisdom teeth are growing in and are causing uncomfortable sensations, removal of the teeth can provide tooth pain relief. 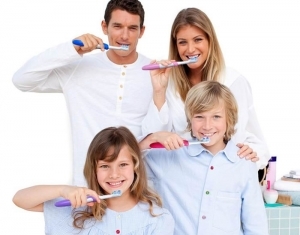 We believe that a healthy mouth is the result of diligent cleaning and healthy hygienic habits. Diligent care to the brushing and flossing of your teeth will result in a mouth without toothache, gum disease, periodontal disease, sensitive teeth, bad breath, and a lesser possibility or experiencing a dental emergency. Once you become our client and begin to visit us regularly for oral evaluations and dental teeth cleanings, we will explain our philosophy in the ways to keep your mouth in shape and out of potential diseases. We are able to prove provide answers to all of your questions regarding your dental health. It is import that our patients understand the implications and rewards of maintaining a strict hygienic schedule. The schedule includes brushing and flossing daily, as often as possible after eating. In addition to two dental visits per year where we perform X-rays and an oral evaluation. We check for gingivitis, the aging of existing dental treatments, and we’ll have our dental hygienists perform a teeth cleaning on your mouth. Is gingivitis curable? Gingivitis is the first step in forming of gum disease and it is curable. A thorough dental cleaning to remove all plaque and tartar in addition to adoption of strict hygienic habits will be the beginning to a reversal of gingivitis. What is periodontal disease treatment? Periodontal disease treatment includes gum surgery and fluoride treatment in addition to complete teeth cleaning and removal of all tartar. What are bad breath remedies? Bad breath is formed by the foods that we eat along with weak brushing and flossing habits. The foods that we eat are broken up and passed through our bodies which are then excreted through our lungs and our pores. In addition, these foods often remain as small deposits inside our mouth and in between our teeth. What to do for toothache? If you are suffering from a toothache, it is important to find the underlying cause of the pain. But in the intermediate time when you cannot visit a dentist, you can either take an Advil or another ibuprofen, or rinse the mouth with warm water and salt. If you have additional questions or are wondering more about the dentist in Lakeland, visit our “About Us” page and fill out our appointment request form. We are happy to answer your questions and to show how we can help you establish excellent oral habits. Doing so will provide an opportunity for us to meet and for us to provide you with the complimentary consultation. This meeting will give you insight to our philosophy and to the professionalism and ease of which our services are performed. We look forward to meeting with you!